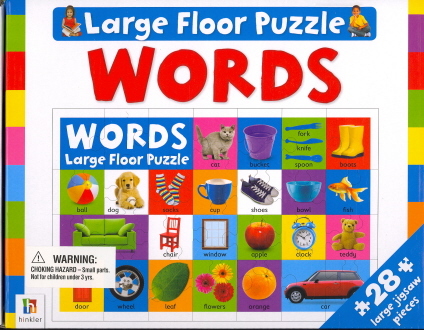 28 piece words floor puzzle. Full size poster for easy reference. 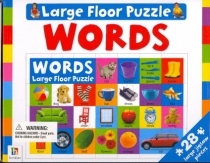 16 page First Words book.